Ask any backcountry hunter what it means to be successful, and you’ll get a variety of answers. To some, success means big racks; to others, simply time spent in the outdoors. I think that to be a successful hunter, especially in the backcountry, there are three core areas that we all prepare for in our own way that can literally make or break a hunt. They make up what I call the backcountry hunter’s Tripod of Success. First off, you have to have quality gear. I think money typically plays the biggest factor in gear choice, but so does the environment it will be used in. 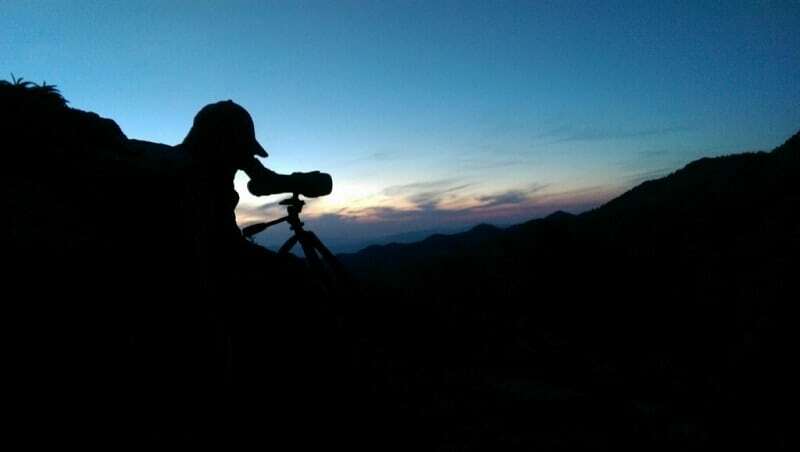 Gear decisions are often influenced by recommendations of trusted friends, reviews, field testing, and sometimes the approval of a well-known figure in the hunting community. The core of survival needs must be met: shelter, food and warmth. Then there are items that may not be a necessity, but their presence on a hunt will make things much easier or manageable. Finally, there’s comfort items that can work wonders in the mountains. The weapon you hunt with falls into this category. Your weapon should be an extension of your person, and you should be intimately familiar with using it. You should practice with it as often as possible, ideally year-round, in order to make an ethical and clean shot when the opportunity presents itself. I don’t think anyone can say they have all the gear they’ll ever want, because as our desires and intended use for gear change with time, so does our inventory. As technology continues to evolve and companies compete with each other for business, it really is the consumer that wins. 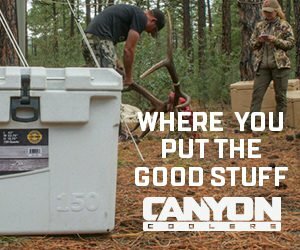 This competition between companies has yielded lighter, stronger, warmer, cheaper, and overall better products to choose from. Some people are willing and able to spend the money to buy the best of the best while others are constantly upgrading and selling off previous models to fund new purchases. 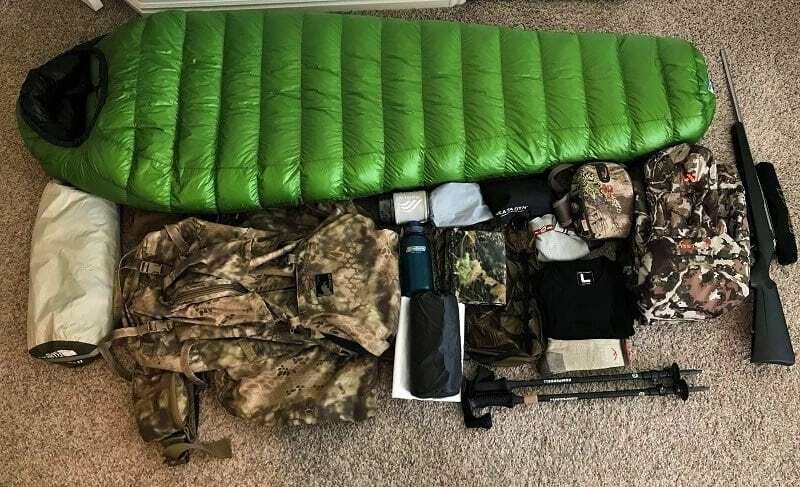 Acquiring hunting gear, no matter the type of hunting it’s intended for is a constant process of dialing everything in to set ourselves up to be successful in the most comfortable, efficient, and safest way possible. 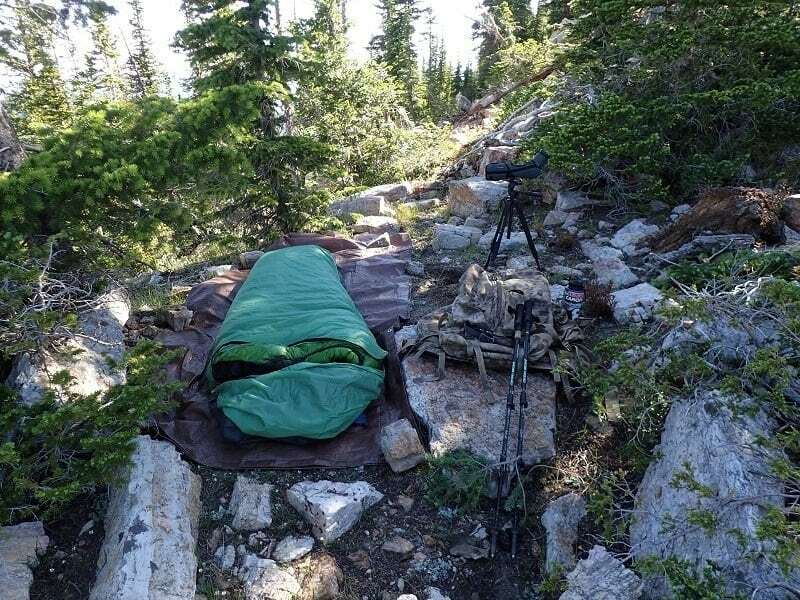 All hunts require various pieces of gear, and this is why gear is the first leg of the backcountry hunter’s Tripod of Success. Second is physical fitness. This is something that can’t be bought. The gym membership or equipment sure, but not the increased capacity for mountain hunting. I think if we could “buy” ourselves into shape that it would rob us of the satisfaction of achieving goals. Getting in shape for some is a yearly cycle: ramping up training for hunting season and then letting things taper off after the season ends. Most find it easier to try to maintain physical condition throughout the year, making lifestyle choices that will aide in the quest to be in mountain shape year-round. I try to take my fitness level pretty seriously and decided to start the Backcountry Hunter program by MTNTOUGH. 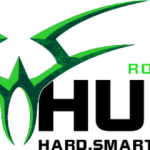 I recently started the program and have been posting my progress in the Rokstaff Takes on MTNTOUGH Backcountry Fitness Program thread on Rokslide in the Fitness forum. Check it out for more details on the program and see if it’s an option for you. Having a structured plan to follow, like MTNTOUGH’s, that focuses on training your body for mountain hunting is paramount to maximizing your workouts, versus showing up to the gym and feeling lost. While access to a gym isn’t always necessary, it’s convenient to have so many options in one place. Through all the time and effort involved in training hard and achieving goals comes a great sense of satisfaction in the form of a better state of life. Most people’s efforts go beyond exercising, and also include eating habits, sleep schedules, medication and supplements, and the list goes on. 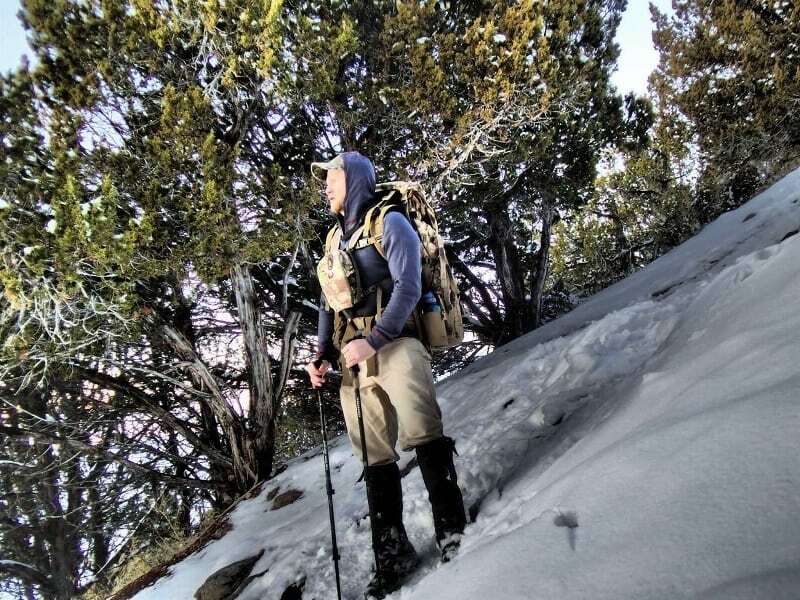 Improving physical fitness is a choice that we must make in order to continue hunting the backcountry. 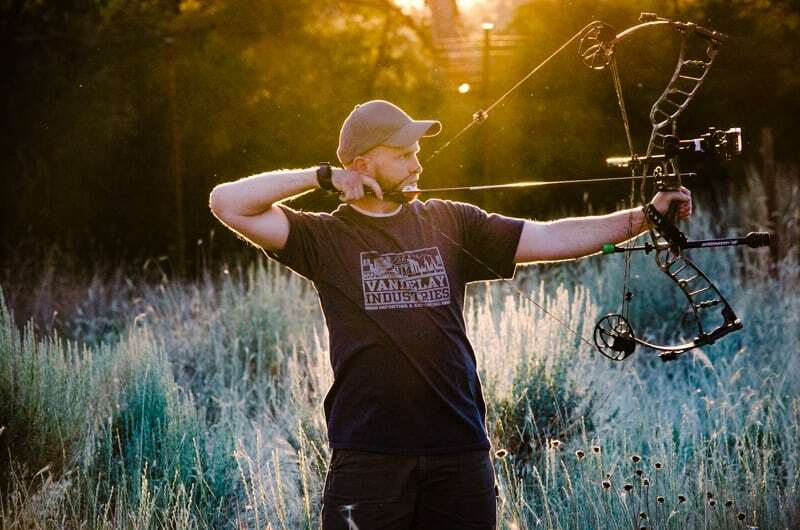 The level to which we allow personal fitness to affect our lives will vary from person to person, but it definitely impacts the type of hunting we choose to do. It must be earned through hard work, and that’s why physical fitness is the second leg of the backcountry hunter’s Tripod of Success. Lastly, and most importantly for me, is mental toughness. It can’t be purchased either, but it also isn’t as easily attained through the hard work and effort required to get in mountain shape. When I first started big game hunting and decided to go on some solo hunts, the reality of what I was getting into, and that I was completely on my own, was honestly pretty daunting. I would be lying if I said I wasn’t nervous when I went on my first overnight solo hunt. When I left I’d originally been going after elk, but by time evening rolled around it was all I could do to keep from packing up and going home to my family. But I knew that if I did, I’d just run into the same problem next time I went out alone. I ended up staying, and I hunted in the morning too. Although I went home without any elk meat, what I did go home with was instilled confidence in myself. That’s why I think that the best way to make yourself mentally tough is to go outside your comfort zone, even if it’s just bit by bit, to increase your self-confidence. Other things that can be of great help are learning woodsmanship and survival skills so you will be more prepared for the unknown. I think too many people get stuck in a groove when it comes to hunting and tend to go to the same spots at the same times of the season, only going so far in each time. They get accustomed to the same thing and aren’t branching out to try and put themselves in a better position for success. There can be a fine line between pushing your limits and ending up in a dangerous situation, but I think that we’re able to push ourselves much more than we give ourselves credit for. My wife once told me that I’m capable of a lot more than I tell myself I am. I believe that’s true for everyone. I think being mentally tough is overlooked by most and that too many rely solely on their gear and fitness levels, but if that’s what gives you the confidence to push yourself, then more power to you. Being a successful backcountry hunter has a different meaning for everyone, and a lot of times I think success is in the eye of the beholder. But by acquiring the best gear you possibly can, getting in mountain shape, and making yourself as mentally tough as possible, you’ll put yourself in position to be successful on your back country hunts. You can comment or ask Ben questions here. Ben Blakeley grew up in northern Utah and still lives there today. He didn’t grow up hunting big game but enjoyed upland bird hunting with friends and family. Ben also did a lot of camping, backcountry canoeing, and hiking. 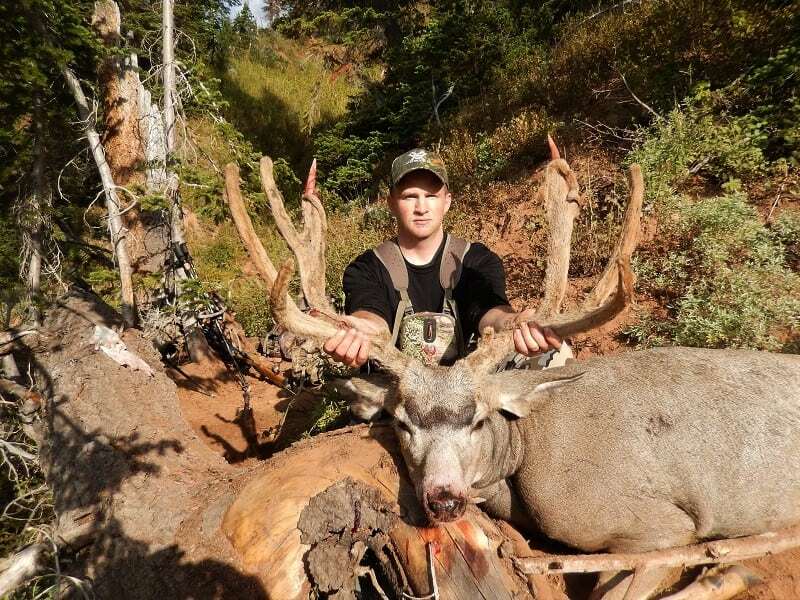 Backcountry hunting combines a lot of those activities which is why he enjoys it so much. He is happiest when up in the high country scouting or hunting. Ben’s dream hunt would be a full curl Dall Sheep.